Resistance-associated variants (RAVs) represent a challenge to the success of new HCV therapies. 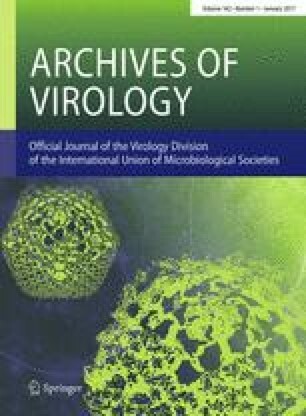 The aim of this study was to describe the prevalence of naturally occurring NS5B RAVs in Brazilian direct acting antivirals (DAA)-naïve patients infected with HCV genotype 1, or co-infected with HIV. Patient enrollment and sample collection were performed between 2011 and 2013. Using Sanger-based sequencing, 244 sequences were obtained. RAVs detected in HCV-1a sequences were V321A (1.6 %), M414V (1.3 %), A421V (21.4-23.7 %), A421G (1.3 %) and Y448H (1.3 %); and in HCV-1b sequences were L159F (16.1 %), C316N (7.1-16.3 %) and A421V (3.2-6.3 %). Understanding the real RAVs scenario in patients is fundamental to establishing the most effective therapeutic strategy and in minimizing the risks for their selection. This project was supported by grant 2011/50633-4 São Paulo Research Foundation (FAPESP) and Alves de Queiroz Family Fund for Research. João Renato Rebello Pinho and Maria Cassia Mendes Correa receive fellowships from CNPq (Bolsista de Produtividade). Caroline Furtado Noble is a graduate student from the Department of Gastroenterology at the University of São Paulo who received a fellowship from CAPEs.